Allison Shapira & Kipyn Martin present “Joan & Joni — A Tribute to Joan Baez and Joni Mitchell” at Cellar Stage™ Timonium on Friday, June 14, 2019. Allison Shapira & Kipyn Martin bring their wildly popular tribute to Joan Baez and Joni Mitchell, “Joan & Joni,” to Cellar Stage Baltimore on Friday, October 28, 2016. Joan & Joni show at Baldwin’s Station on Thursday is sold out! Allison Shapira & Kipyn Martin‘s tribute to Joan Baez and Joni Mitchell at Baldwin’s Station on Thursday, February 4, 2016 is SOLD OUT! Comments Off on Joan & Joni show at Baldwin’s Station on Thursday is sold out! Allison Shapira and Kipyn Martin bring their Joan & Joni tribute show to Baldwin’s Station on Thursday, February 4th. Tickets & reservations: 410-795-1041. This show will likely sell out! Joan & Joni show March 26th at Baldwin’s Station is sold out! Comments Off on Joan & Joni show March 26th at Baldwin’s Station is sold out! 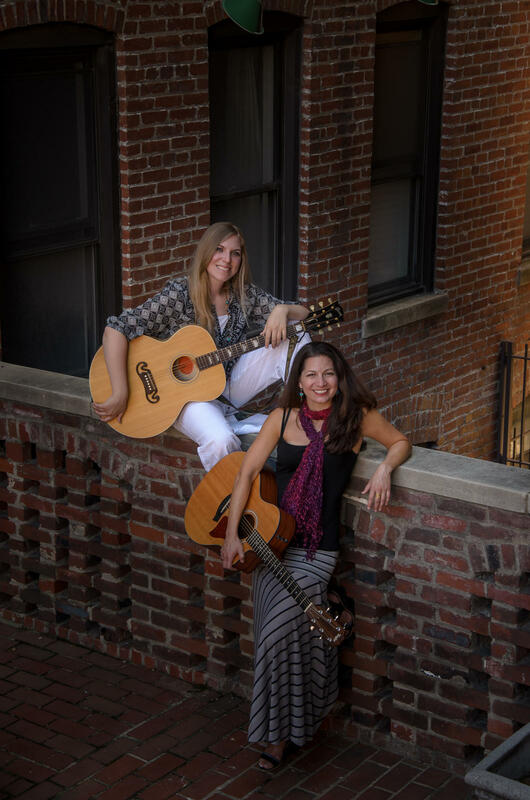 Kipyn Martin & Allison Shapira bring their exciting tribute to Joan Baez and Joni Mitchell to Baldwin’s Station in Sykesville on Thursday, March 26, 2015. Tickets & reservations: 410-795-1041.